After a decade of persistent prayer, the Lord has finally blessed Calvary Open Hearts Fellowship – Cebu with 852 square metre piece of land! It's to be rented for ten years and will be acquired later on - a voice of faith! Even though the church was forced to move out from it's old meeting place in December last year, just after celebrating its 25th anniversary, it never hindered the church to continue meeting up together and ministering people. Instead, this sad circumstance ignited the members of the church to be more united with a growing faith in an awesome God! 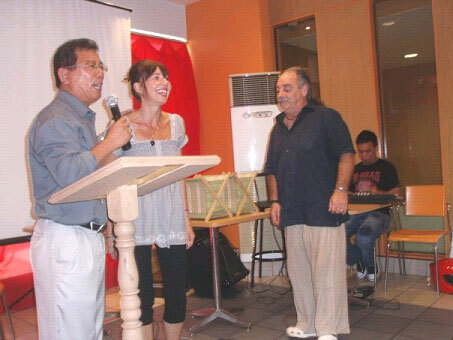 The church met up temporarily in a restaurant for three months whilst praying and trusting in God for a new place – the land in Looc, Mandaue City. But even before moving out of the previous place, the church had already been praying for this lot. MSM has been a prayer partner with this church as well. 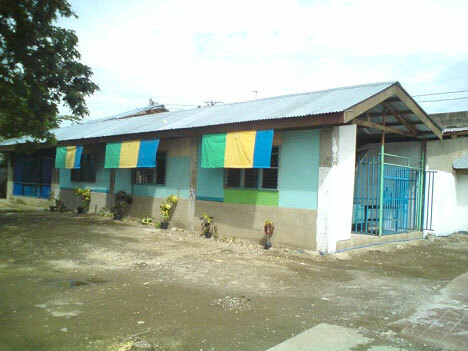 The new location of the church is situated on the outskirts of town a few metres away from the Old Mactan Bridge. There are residents who live in houses built above seawater. The location is feared by many because it is a gang-infested area. The previous owner of the lot discouraged the leaders of the church not to stay in the area because of the current situation. But Pastor Danny Go told them that they should not be feared. Instead, they should be reached out with God's love. With God's sufficient grace, the church moved in the new lot in March of this year and started building a temporary centre to meet up during fellowships and church activities. Using the remnants of the demolished building in the area and of the old church building, the church was able to erect a humble canopy. MSM had also contributed to the purchasing of some construction materials for the church building through Pastor Danny Go. The members of the church, both young and old, joined hands to make the new church lot beautiful. Today, the church has been ministering to the people in the community starting off with the kids. 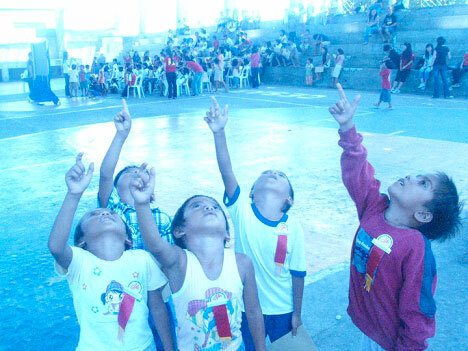 The church believes that reaching out to the kids will help reach out the adult members of the community. 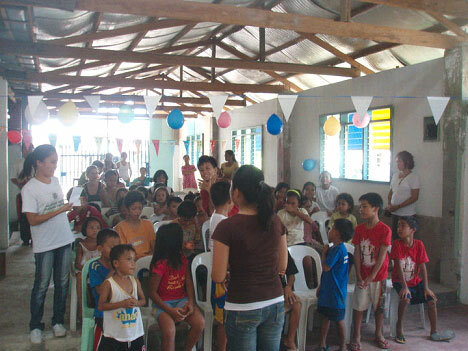 In the last week of May 2010, a Daily Vacation Bible School was held in partnership with Operation Mobilization and with the permission from the local government. 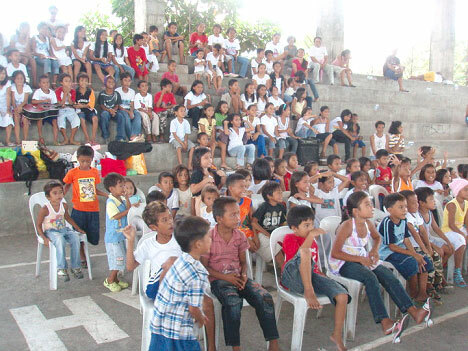 Over a hundred kids came and attended the programme. They were told about stories in the Bible and were taught songs and christian values. And who could forget about food?! They were fed as well. The programme lasted for a week. However, ministering to the kids didn't stop there. Classes every Saturday are being held at the new church centre since then. Volunteer teachers and workers meet up once a day to plan and pray for each Saturday class. To improve the ministry, they make an evaluation after the class. 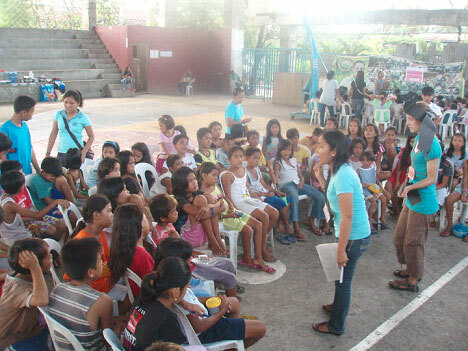 Most of the volunteers are students and from the youth members of the church. Although Pastor Danny Go's vehicle repair centre and upholstery business which was equipped by MSM came to a close after the church moved out, his vision to train and equip others is still his heartbeat. Together with him, the church has been preparing for a discipleship training programme which will start this month. The church also has a vision to establish a school where kids and adult learners could be equipped with knowledge both in the secular and spiritual which would develop them to become godly leaders in the community where God has placed them. As of the moment, the church is working on the permits for starting a primary school which hopefully would start next year.